Today started really early … we ate breakfast at 7 am and were off by 8. 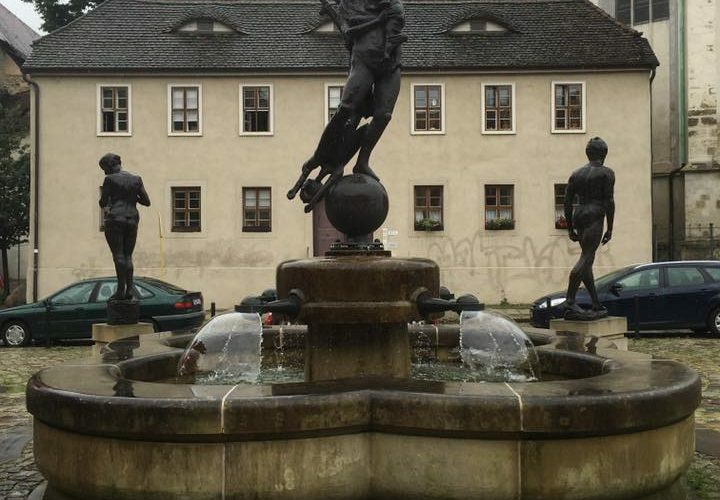 After breakfast, we drove to Halle and after a quick look around took a guided tour around the city. We saw churches, sculptures, a cool garden, and the house of Handel, the composer. 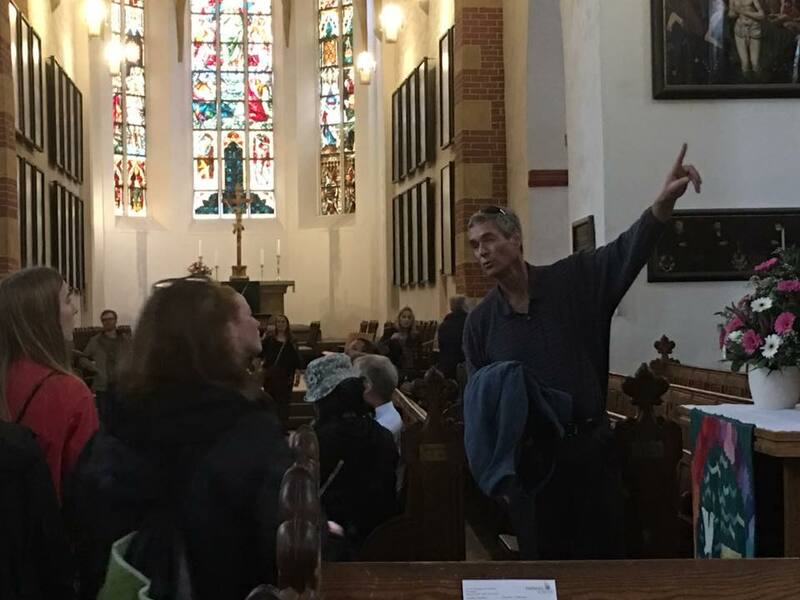 One of the churches in Halle was where Handel played the organ, and Bach inaugurated a bigger organ at that same church. After our tour of Halle, we drove to Leipzig and ate lunch where I had some really good pasta. 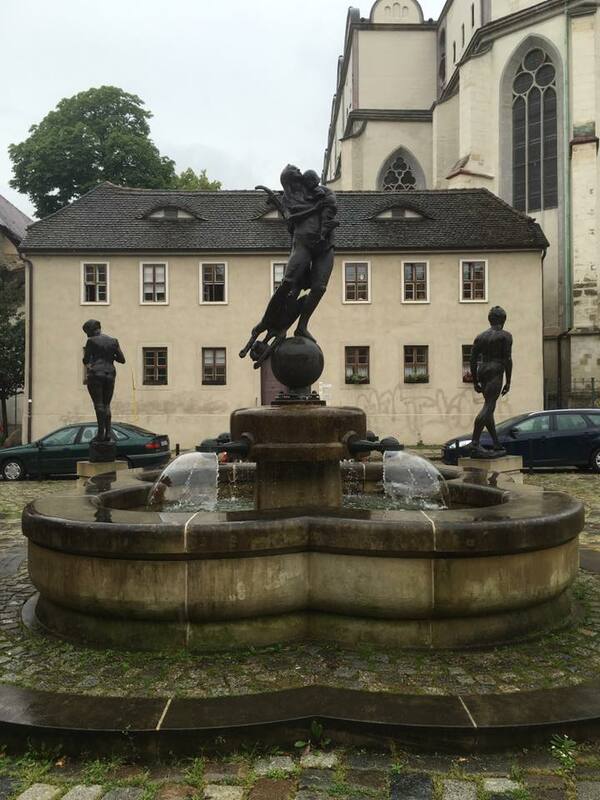 After lunch, we went on a tour of Leipzig and saw even more gorgeous churches and sculptures. 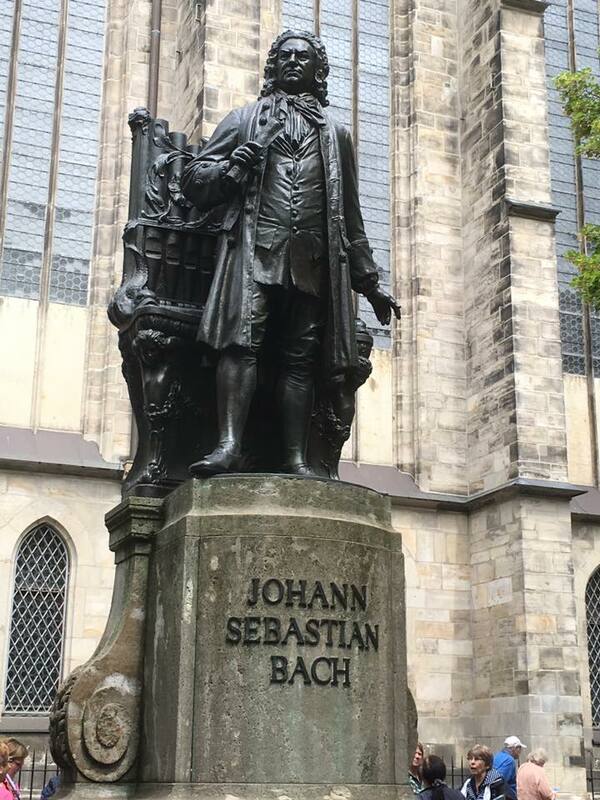 One of these included a statue of Bach in front of the church where he played organ, also where he is buried. We got to look around their symphony hall, which has a massive painting inside of it that is not only beautiful but also very detailed. 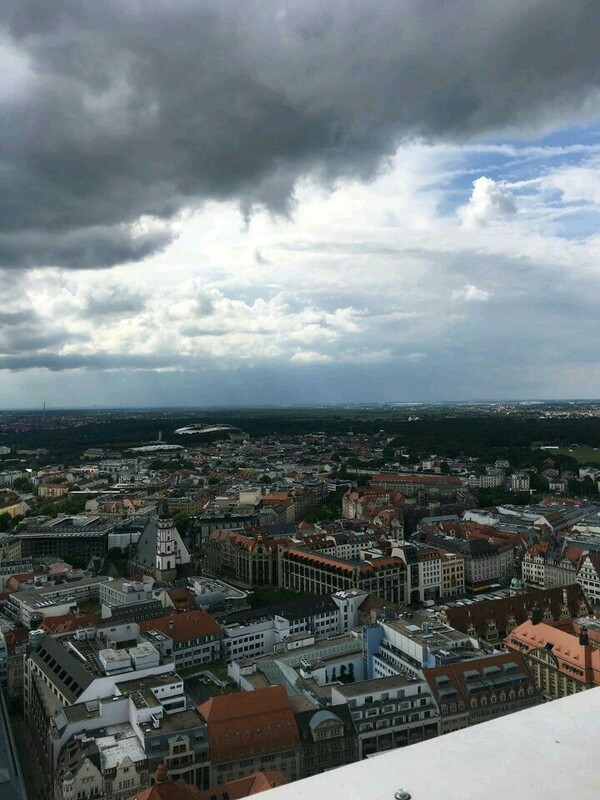 To end our time in Leipzig, we went to the top of a very windy tower for a stunning view of the city.